Brain scans were one method used to identify study subjects. Along with study co-author Rosie E. Curiel, Psy.D., assistant professor of psychiatry and clinical neuropsychology, and their colleagues, Loewenstein studied 88 patients with amnestic mild cognitive impairment (aMCI). They identified 34 people in this cohort with underlying, prodromal Alzheimer’s disease (AD) by history and amyloid positive scans. 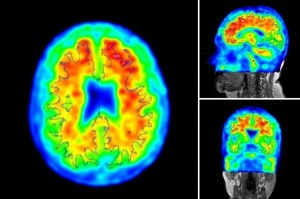 Amyloid-beta is an abnormal protein in the brain long associated with the development of AD.